Just to be sure that you are not forgotten, new Microsoft Dynamics NAV 2015 will be launched in only two weeks. If you attend to NAVUG Summit in Reno this October, you can be really the first who passed the new NAV exam and show your expertise in Dynamics NAV 2015 Core Application Setup. It is not too late to register yourself here. If you will not attend NAVUG Summit, maybe you will be in Orlando later the same moth – October 25-28 on Directions NA. You will have the same opportunity and you can register yourself here. In this situation, you will not be the first, but one of the first for sure. This exam is prepared by a large number of NAV experts all around the world and I think it is a good chance to check your knowledge about NAV 2015. But this year we have additional news. 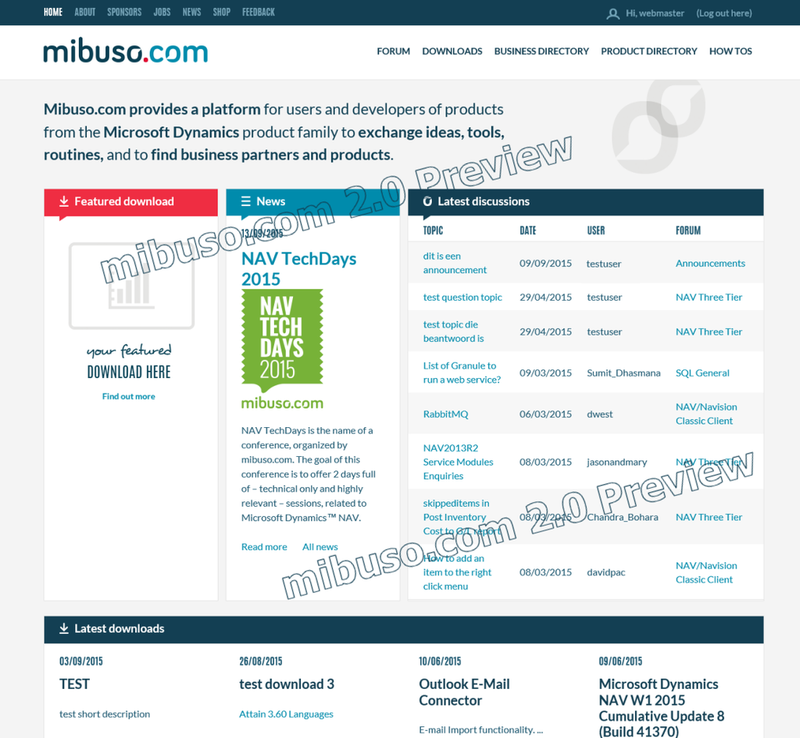 Microsoft has migrated to a new NAV blog platform. New blog platform look really perfect as other Dynamics platforms (MSDN for example). You can go to the blog on https://blogs.msdn.microsoft.com/nav/. Hope you will share my opinion. I still didn’t see this new iPad and I have knowledge only from some articles. OK, all computers have something better compared to other. On first sight, iPad pro is thinner and slightly lighter and has better screen resolution… and yes, better camera (but this is still computer, not a camera). But on iPad, you can choose 32 or 128 GB of storage and you cannot expand it. For business needs, this is frivolity. On other side, Surface Pro 3 has 62/128/256/512 GB of storage. Apple hasn’t said how much memory is inside, but we know Surface has 4 or 8 GB. Apple Pencil is a $99, but you are getting it in package when you are buying Surface Pro 3. Apple keyboard is more expensive and it miss a touch pad. On other side, on Surface I can use a full Windows 10 and of course, this is not a new device. 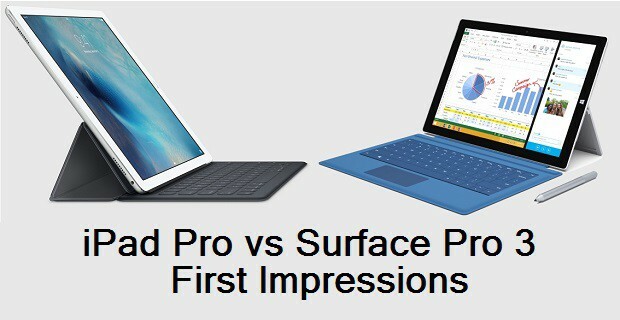 Microsoft will release Surface Pro 4 soon and we will see what news we will get in new MS device. By my opinion iPad is awesome device, but it is still a toy. Surface is seriously device for working and I will choose Surface in the future. Maybe Surface is not so cool, but I need a tool not a fancy toy. As I’ve already said I’m not an expert for this area. You can find more seriously articles here. I will continue with my NAV :). Are you looking to distinguish yourself as a leading Dynamics NAV professional? Do you want to set yourself apart from your colleagues and competitors? Look no further than certification from the Association of Dynamics Professionals (Dynamics Pro). Dynamics Pro is an independent, not-for-profit, membership organization dedicated to the Microsoft Dynamics community. Their certification exams for Microsoft Dynamics NAV 2015 will be available at Directions NA and during NAVUG Summit – great opportunity to build your Dynamics NAV skills. These exams are prepared by a large number of NAV professionals and they represent a real world knowledge. I think it is a great job. Now, NAV certification is alive again. Check out certification exam offerings by visiting www.dynamicspro.org/certification. About an hour ago, Microsoft has published new Cumulative Updates for Microsoft Dynamics NAV 2013 and NAV 2013 R2. These are Cumulative Update 23 for NAV 2013 R2 and Cumulative Update 30 for NAV 2013. You can find both of Application and Platform Hotfixes, and Local Application Hotfixes as well. You can find them as Build 42610 for NAV 2013 R2 and as Build 42591 for NAV 2013. Half an hour ago, Microsoft has published new Cumulative Update 11 for Microsoft Dynamics NAV 2015. It includes the most of application area (Administration, Client, Costing, Cash Management, Finance, Inventory, Jobs, Manufacturing, Prepayments, Purchase, Sales, Service and VAT/Sales Tax/Intrastat) and very useful platform hotfixes (one of them for example, is solving problem with scrolling in the DE who does not work properly in Windows 10) and regulatory features that have been for Microsoft Dynamics NAV 2015. It also has a lot application hotfixes for following localizations: Australia, Belgium, Switzerland, Czech Republic, Germany, Denmark, Spain, Italy, North America, Netherlands and UK. You can download Cumulative Update 11 for Microsoft Dynamics NAV 2015 from here. This CU is named as Build 42603. I’ve already wrote about conferences this fall with Microsoft Dynamics NAV topics. Now, we can make the final list. Few days ago, we have got the last conference in the raw – Microsoft Business Summit Asia 2015. Conference will be held in Kuala Lumpur 7-10 December this year. You can find here more about this conference. Now, you can find the final list with all Microsoft Dynamics NAV Conferences this year here. See you on most of them.